Whit Stillman’s Love & Friendship is on Cosmopolitan TV (not a typo) in Spain this month & next. 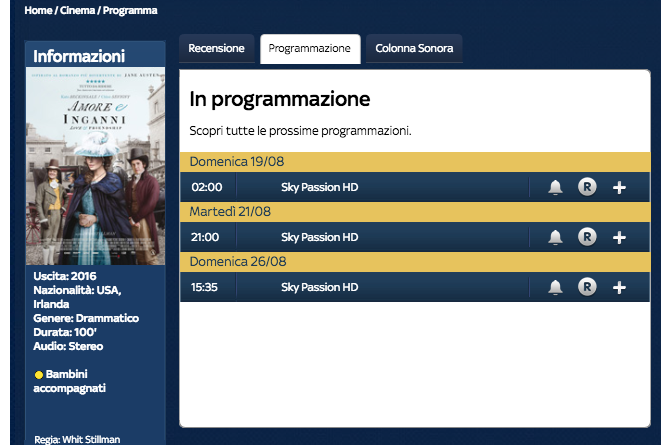 Whit Stillman’s Love & Friendship is on Italian TV on Sky Passion HD. Whit Stillman’s Damsels in Distress is on Starz on demand.